Take home The Everything Chocolate Gift Hamper Collection | FreebieFinder UK | Freebies, Samples, & Other Free Stuff. Five Little Doves has a special treat for one lucky person to win. 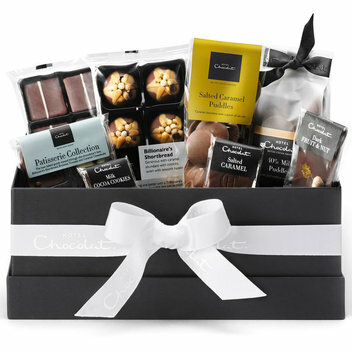 The lucky winner will get the Everything Chocolate Gift Hamper Collection from Hotel Chocolat that contains a delicious selection of chocolate goodies such as the Nano Slab Milk 50% with dark cookies, Nano Slab Salted Caramel, 40% milk chocolate puddles and more. This was posted 2 months ago 7th February 2019 and expired 2 months ago 11th February 2019. Be in with the chance of winning this sweet treat by entering this competition on the Five Little Doves website.